Oriental medicine is a modality that has been practised for more than 4,000 years, making it one of the oldest natural therapies known to humankind. Acupuncture may help a range of disorders, including gynaecological, digestive, metabolic, chronic and painful imbalance. Oriental medicine defines health as a state of harmony between our physical, emotional and spiritual wellbeing. Any disorder is viewed as a disruption to the flow of energy or Qi (pronounced "chee") in our bodies. In Oriental medicine a body is perfect harmony is represented by the Yin Yang symbol. .
Acupuncture involves the insertion of fine, hair-thin needles into the body at precise points to treat specific disorders. These points are located along energy pathways or meridians that are believed to run through our bodies. Manipulating the needles frees energy "blockages", restoring our energy balance. Acupuncture is sometimes teamed with a heat treatment called moxibustion as well as remedial massage. 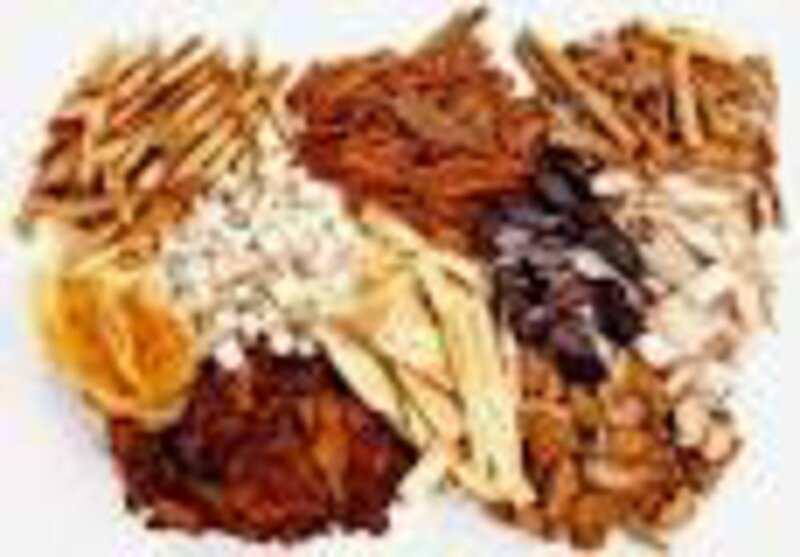 Herbs - another important branch of Oriental medicine - are often used in conjunction with acupuncture. Applied by a qualified acupuncturist, the needling is not dangerous. New sterilised, disposable needles are used only once on each client.. Each needle is individually wrapped for your protection. When an acupuncture point in the body is stimulated, the patient may feel a heavy, tingling sensation. Most people do not mind the mild stimulation generated by the acupuncture needle because the benefits of the treatment are quickly felt. Any discomfort experienced by the patient is usually mild. How Deep Do Needles Go? The needles are inserted into the skin to depths ranging from 0.25 cm to 2 cm. The depth of penetration depends on the disorder, the patient's size, age and constitution. Acupuncture offers a drug-free way of treating sports and work injuries. It lessens bruising and reduces swelling, inflammation and pain. It also increases the range of movement in injured joints, such as fingers, toes, feet, knees, hips, back, neck and shoulders; decreases muscle spasms; disperses "corking" in muscles; and speeds healing time dramatically by improving blood supply. Acupuncture also enhances performance and hastens your return to work or the sports field. Do Health Funds Cover Acupuncture? Most health funds offer rebates for acupuncture treatments. To find out your annual entitlement for acupuncture treatments, contact your health fund. Cosmetic acupuncture combines acupuncture with skin treatments. Our practitioner is skilled in both therapies. Acupuncture works internally to improve the overall metabolism of the body. This can delay the ageing process or improve the overall condition of the body by boosting the circulation of energy and skin nutrients. Oriental herbalism involves the use of herbs to improve mental, physical and emotional imbalance. Herbs may help to improve symptoms related to conditions such as cold/flu syndromes and gynaecological imbalances, etc. These disorders could be balanced with herbal medicine. Herbs are prescribed to exert a specific effect on the meridians and organs responsible for the imbalance, thereby rebalancing the Qi, blood and one of five associated elements. Do Herbs Have Side Effects? A registered herbalist is trained to prescribe herbs accurately to balance the disorders. WHO's Saying What About Acupuncture? Depression, sleep disorders, anxiety attacks, impotence, sweating, teeth grinding, mood swings, obsessive behaviour, allergies, bad temper, stiff neck, stiff shoulders, insomnia, hair loss, greying hair. Migraine, headache, trigeminal neuralgia, ringing in ears, dizziness, post-stroke rehabilitation, spasms, sports injuries, arthritis, sciatica, muscle or joint pain, back pain, neck pain, shoulder pain, tennis elbow, spurs, paralysis, cerebral palsy. Pre-menstrual tension (PMT), menstrual pain, irregular menstrual cycles, post-natal conditions, lactation, menopause, endometriosis, infertility, weight loss, amenorrhea, dysmenorrhea, uterine bleeding, fibroids. Acne, psoriasis, blackheads, eczema, dermatitis, allergies. Constipation, diarrhoea, ulcers, reflux, poor appetite, anorexia nervosa, indigestion, over-eating, haemorrhoids, lack of energy, gastric, dysentery, irritable bowel syndrome. Sinus, asthma, bronchitis, common cold, influenza, tonsillitis, congested throat, hoarseness, shortness of breath. Bed wetting, poor appetite, diarrhoea, vomiting, ADD, hyperactivity, poor concentration. Hay fever, asthma, sinus, rashes. Aversion to cold and wind, cold hands and feet, numb and tingling limbs, swelling oedema, fluid/urine retention, varicose veins. Blurred vision, eye infections, herpes simplex, mouth ulcers, bleeding gums, toothache, sore tongue, bad breath, tinnitus. Hypertension, high/low blood pressure, high cholesterol, alcohol/smoking/drug addiction.